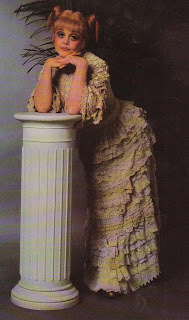 "'I used to go around with a Mrs. Lovett hairdo,' Bonham Carter says of the 'do worn by Angela Lansbury in the original stage production of Sweeney Todd: The Demon Barber of Fleet Street. 'I guess some kids wanted to be in 'Charlie's Angels,' but I just wanted to be Mrs. Lovett.'" 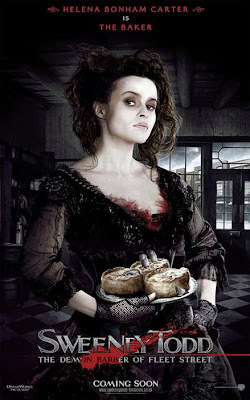 Meanwhile, thank goodness, we're finally getting some press on Helena and her Mrs. Lovett. Sarah, Did you see Terry Teachout's review? He says its the best film adaptation of a musical ever. Talk about a reason for this to zoom right to the top of my must-see list! I am trying to get tickets to a sneak preview in Philly on Tuesday!